Hockey-themed point of sale material for Molson Canadian. Molson Canadian is a beer that aligns itself with hockey . 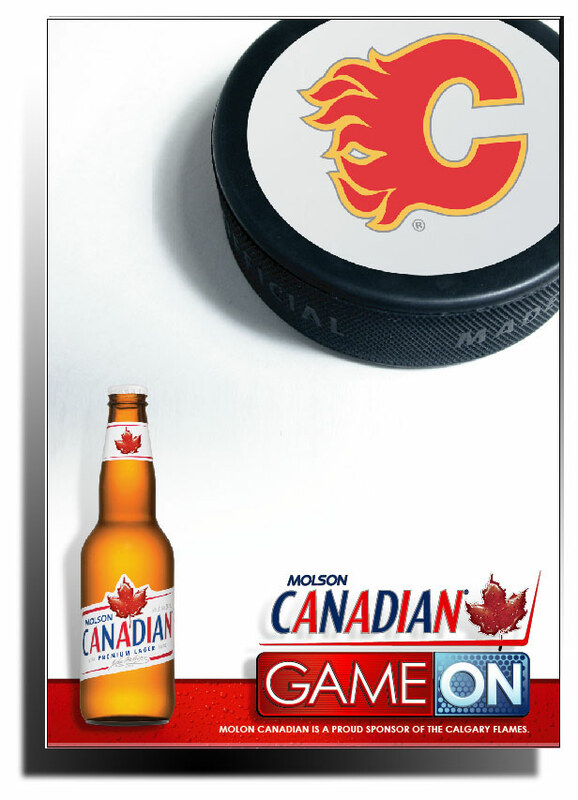 To enforce this, I was asked to design a sub brand called Game On. 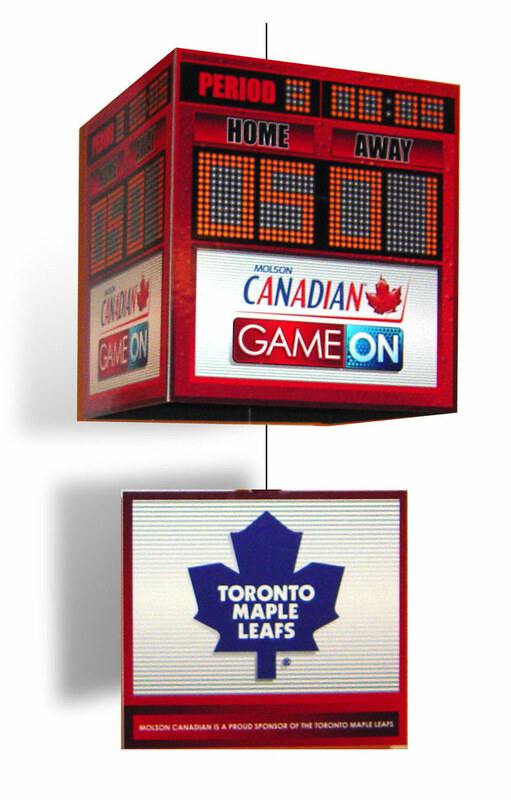 Generic posters featuring Candaian regional teams were produced along with a dangler made to represent an NHL hockey scoreboard.